Depression is one of the most common mental disorders which might crop up in people. Over a period of time, there has been a significant spike in awareness levels regarding depression. Also, a number of cures, therapies and medications have been developed to combat depression. 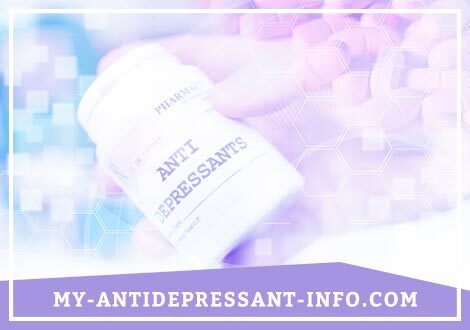 Use of antidepressants as medication is not uncommon and Cognitive Behavior Therapy has become especially popular as a therapeutic care. Nowadays, many practitioners have also come up with various other types of treatment methods like alternative medicines. Among these different types of treatment methods, sports and exercises have recently garnered a lot of interest. Many researchers have concluded that they are indeed very effective to combat depression. However, before checking if sports are beneficial, it would probably be better to ask: Do the present treatment methods have anything wrong with them? 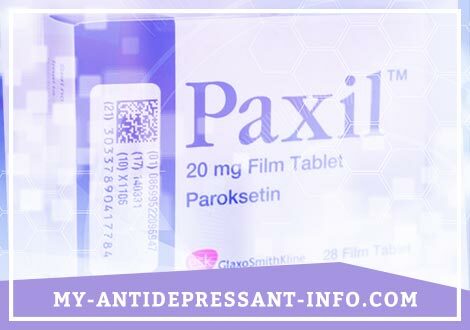 Medication and therapy have become the accepted norm when it comes to treating patients diagnosed with depression. However, they should probably not be the sole treatment being followed. 1. Therapy makes you dependent: Therapy may cure someone but that doesn’t mean that the person is self sufficient for life. Since he needed therapy to recover from depression the first time, there is a good chance that he will need therapy the second time around too. 2. Medications have side effects: It is an established fact that medications come with strings attached. They might work well on one area of the body. However, they will also affect the body in many other different ways. Unfortunately, these ‘other different ways’ are not always positive. 3. Expensive: At the end of the day, consuming medicines and paying the health practitioner on an hourly basis for one on one sessions do not come free of cost. Yes, your mental health comes above everything and is priceless. However, the fact that a lot of money is required cannot be completely neglected. 4. Inflexible: If you are under expert medical supervision, you need to follow certain very strict guidelines regularly. You do not get the flexibility to try some of your own ways so that you can understand what works best for you. Hence, all is not rosy here. Medications and therapy have their own defects. On the other hand, exercises and sports can help combat depression without any of the above mentioned snags. There is scientific evidence which states that sports and exercises can prove to be a blessing for people diagnosed with depression. Actually, it has been observed that sports and exercises partially bring about the same neurological changes in a person as those brought about by antidepressants. 1. Release of endorphins: Playing some kind of a sport or pursuing any kind of physical activity often leads to the release of endorphins in the brain. Endorphins are feel-good hormones which help in countering the negativity usually associated with depression. 2. Reduction of Cortisols: It has been observed that exercises and sports can reduce cortisol levels in the brain. Cortisols are hormones associated with stress. The lower the number of Cortisols in the brain, the lower the stress level of the individual. 3. Increase in nerve cell growth: Physical activity increases the brain’s ability to absorb serotonin. This increases adrenaline levels and promotes cell growth. As such, cells in the hippocampus, which usually die under the influence of depression, are maintained at required levels. Finally, going for physical exercises and sports help a person in getting away from boring daily chores and engaging thoughtfully in identifying gaming fundamentals and winning strategies. This stimulates the brain in positive ways. Besides the scientific benefits of physical recreation, there are also certain psychological, emotional and physical gains. 1. More social encounters: Playing around would often involve team games. Even simple physical activities like walking would help bump into people you know in your neighborhood. These simple interactions often make a person more secure, lively and upbeat. 2. Confidence Boost: While exercising or playing games, people often set targets like running around a lap 4 times or winning the game at all costs. When they are able to attain these small tasks, it gives them immense pleasure and belief in their abilities. 3. Distracts from problems: If a person is depressed, it is natural to have problems in life. However, once he is in the field and engrossed in the game, he forgets his worries and this has a positive impact on him psychologically. Bodily exercises also give a sense of well being to the person and increase his self esteem. Physically, regular exercises or games can improve a person’s sleep and help him develop a very healthy appetite. All of these factors work together over a period of time to make the person more energetic and active. There have been many researches over the topic in the past few decades. They have all tried to answer the same question: Can physical activity help in curing depression? Cochrane Collaboration, a team of researchers who aggregate research data to answer scientific questions, had taken all of these 39 researches and tried to arrive at a conclusion. These studies involved a total of 2330 people and their duration ranged from around 1 week to almost 16 weeks. Though most of them took up physical activities like Nordic walking, many of them have also stressed on other activities like cycling. Overall, these researchers arrived at a conclusion that sports and exercises cannot be considered to be a cure for depression. However, they definitely helped in mitigating the effects of depression. A depressed person might not become active, energetic and positive just through exercises. However, he will surely feel much less stressed after the activity. Hence, it can be said that exercises and physical activities must be undertaken in conjugation with medication and psychotherapy. The treatment will then be smoother and way more effective. How often are exercises or sports needed? In order to stay fit, it is recommended for adults to exercise or play sports for at least 150 minutes every week. This can be easily done by going for 30 minutes for 5 days a week. The remaining 2 day of the week can be kept aside for rest. This will help the muscles in recuperating and will also keep the person interested in the activity. In case it has been some time since you last took up any kind of intense physical work, then it would be better to gradually upgrade the amount of time you work per week. A sudden spike in physical activity can lead to injuries. It is advisable to start small. With regard to exercises, it is also essential to understand that benefits would accrue in the long term only. You must start with things which you find easy and fun. Also, try doing them for a limited period of time only. This will help you continue doing them for a longer period of time. For this, it is first essential to understand the difference between a moderate intensity activity and a high intensity activity. A moderate intensity activity would involve simpler tasks like walking briskly or pushing a lawn mower. In terms of sports, we can define volleyball and basketball to be moderate. Also, skateboarding, hiking and water aerobics take much lower amount of effort as compared to vigorous or high intensity activities. Vigorous activities would involve rising a bike uphill or skipping a rope. Games which involve a lot of running or physical strain like football and rugby can also be classified as high intensity activities. In case one is not interested in games, he can go for gymnastics or martial arts. The end goal is to have either 150 minutes of moderately intense exercise or 75 minutes of vigorously intense exercise. This is based on the thumb rule that 2 minutes of a moderate exercise has the same effect as 1 minute of a vigorous exercise. A combination of the two exercises can also be used and the number of minutes adjusted accordingly. Now, the exercises can be anything. However, it always advisable for a person to choose those exercises or sports which keep him hooked. As such, he would be able to carry it on for a much longer period of time. Which sports to go for? There has been some research which mentions the kind of sport which would better help in mitigating the effects of depression. One research showed that people must pursue games which involve a ball like football or basketball. Another research showed that children who played team based games in their school have lesser chances of getting depression later on. Usually, it has been felt that team work based games are much better in helping a person combat depression because of the human element involved in these games. People can not only feel fresh after playing these games but they also feel more secure, more understood and more loved. Hence, these kind of games help in creating healthy individuals. However, if one doesn’t have any avenues of playing team based games, he must try to play whatever he can. It is much better to engage in some or the other game rather than not playing any game at all. One must choose a game which is enjoys and which is accessible and he must go for it. 1. Get onto something you enjoy doing: This is the most important piece of advice one can get regarding any activity. If he doesn’t choose something that he likes, he will find it untenable to continue it after a point of time. 2. Start with small targets: In case you have settled on jogging, then it would not be wise to go for 10 laps on the first day and set the same target for every other day after that. Instead, go for small targets which you can achieve and which will help you a confidence boost. Then, gradually increase the target over time. 3. Be ready for pitfalls: There might be days when you just cannot muster the energy to get up from bed. Some days you might be too exhausted after the exercise. The worst of the lot is the day when you are too bored of the activity to continue. However, you must be ready for these kinds of days and these types of emotions. If a person can keep the above mentioned points in his mind, he can definitely get better at his physical activity routine. Also, before embarking on this journey, it is always better to consult a health practitioner. He will let you know in case you are doing something wrong. Depression has turned out to be one of those mental disorders which can be actively controlled and partially cured with self help. Sports and exercises are just one part of a person’s self help effort. He or she must also try to act upon the depression in other ways too. Joining self help groups, using relaxation methodologies and trying to control ones thoughts are other ways in which a person can help himself. Also, once started, a person must keep this physical activity alive for life. It should not be stopped as soon as a person is over his depression. These physical activities may help in alleviating depression. However, they are also beneficial in preventing it in the first place.